Georgetown Hospital System, comprised of Georgetown Memorial Hospital and Waccamaw Community Hospital, provides high-quality healthcare to Georgetown County and surrounding areas. The hospital system boasts 298 licensed beds and over 200 specialized physicians and is accredited by the Joint Commission on Accreditation of Healthcare Organizations, among numerous other accreditations. Georgetown Memorial Hospital is an acute-care hospital located in the heart of Georgetown. Since 1950, the 131-bed hospital has provided Georgetown area residents with a well-trained staff, state-of-the-art equipment, and a full range of services, including Cardiopulmonary Care, Emergency Services, ICU, OB Gyn Services, On-site Laboratory, Surgery, Imaging, Food and Nutrition, and Health Information Management. Georgetown Memorial Hospital strives to accommodate its patient community; in 2006, Georgetown Hospital System announced plans to relocate the hospital to meet population growth. Waccamaw Community Hospital, built in 2002, is a 167-bed hospital located in Murrells Inlet. The hospital boasts many of the same services as Georgetown Memorial and offers the area�s only Sexual Assault Nurse Examiner Program. Waccamaw Community Hospital utilizes the latest technology and has received awards for its innovation. Both Waccamaw Community Hospital and Georgetown Memorial Hospital have been recognized repeatedly for service excellence. 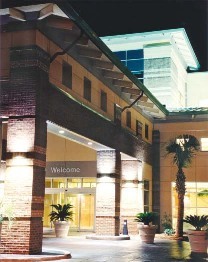 In addition to the two hospitals, Georgetown Hospital System includes numerous other facilities in the area: Waccamaw Rehabilitation Center, NextStep Wound Healing Center, NextStep Pediatric Outpatient Rehabilitation Services, NextStep Adult Outpatient Rehabilitation Services, NextStep Pain Management Services, HealthPoint Center for Health & Fitness, The Imaging and Breast Health Center, and the Francis B. Ford Cancer Treatment Center, a joint effort with MUSC�s Hollings Cancer Center to provide local chemotherapy and radiation therapy.